HAVE YOU NEVER BEEN DRAWN BY PENCIL? WITHOUT THE RISK OF LOSING THE DOWN PAYMENT IF YOU DO NOT LIKE THE FINAL RESULT. THE PAYMENT IS DONE ONLY IF THE CUSTOMER IS FULLY SATISFIED. BEFORE SENDING IT TO YOUR ADDRESS, I WILL SHOW IT TO YOU BY WHATSAPP SO YOU CAN APPROVE IT. OTHER ARTISTS AND WEBS REQUIRE YOU TO PAY IN ADVANCE. DO NOT TAKE THE RISK OF LOSING MONEY IF YOU DO NOT LIKE THE OUTCOME! WITH ME, IF YOU DO NOT LIKE IT, YOU DO NOT PAY IT. 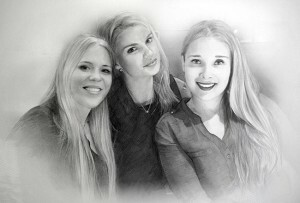 ¿Te gustaría ganar un retrato a lápiz de la foto que tú quieras? ¡Participa en el concurso y gana! All the drawings that are shown on the web are drawings made by hand, by order, in which previously the client has given me permission to publish it on the web. If you let me know that you do not want to publish the drawing either on the web or on social networks, you just have to tell me when ordering the portrait via WhatsApp that way just you will see the final drawing, it will not be published anywhere. 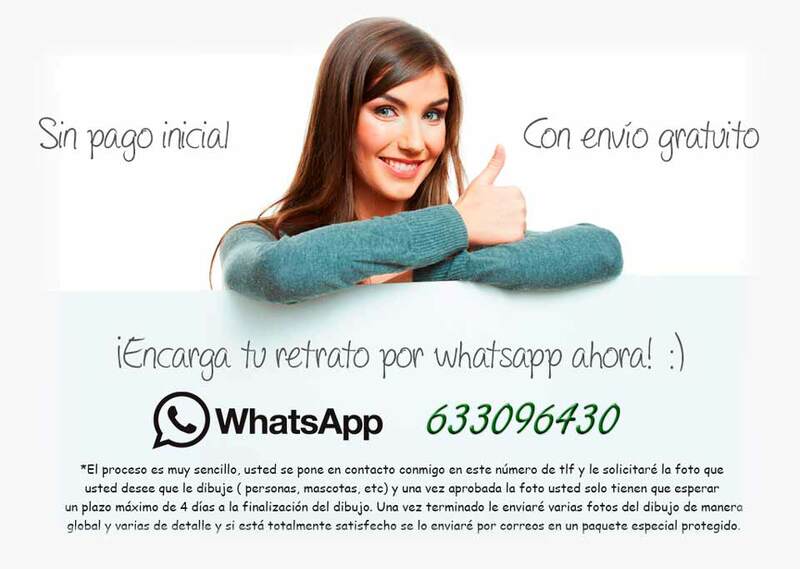 Gracias a whatsapp el proceso de encargar sus dibujos a lápiz y tenerlo en unos días en tu casa en muy sencillo y no hay ningún riesgo para usted. 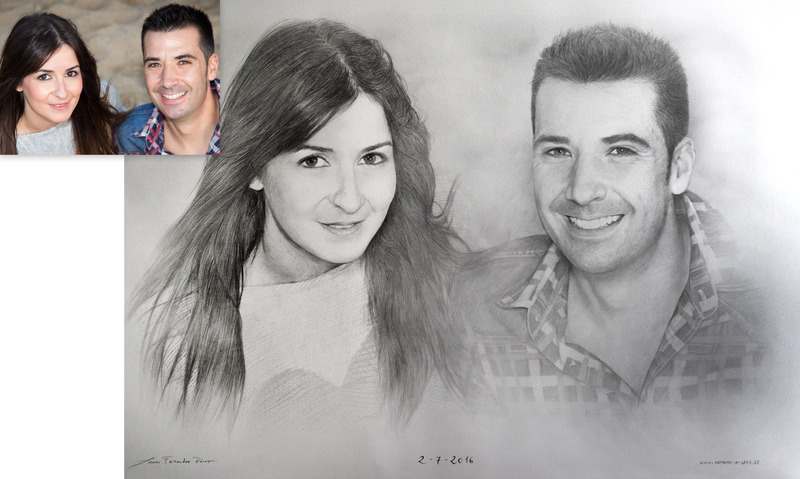 Why order a portrait in retratos-a-lapiz.es and not in another web page of pencil drawings? 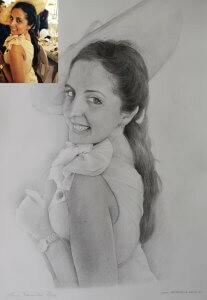 What really identify me is that there is no previous payment for the drawing and when the drawing is finished I send a high resolution photo of the drawing to the client and if is completely satisfied I send it and if the client does not like it, don’t have to pay it. Do not take risks in other websites to give money in advance in a commission of a drawing that previously does not know how it will be! 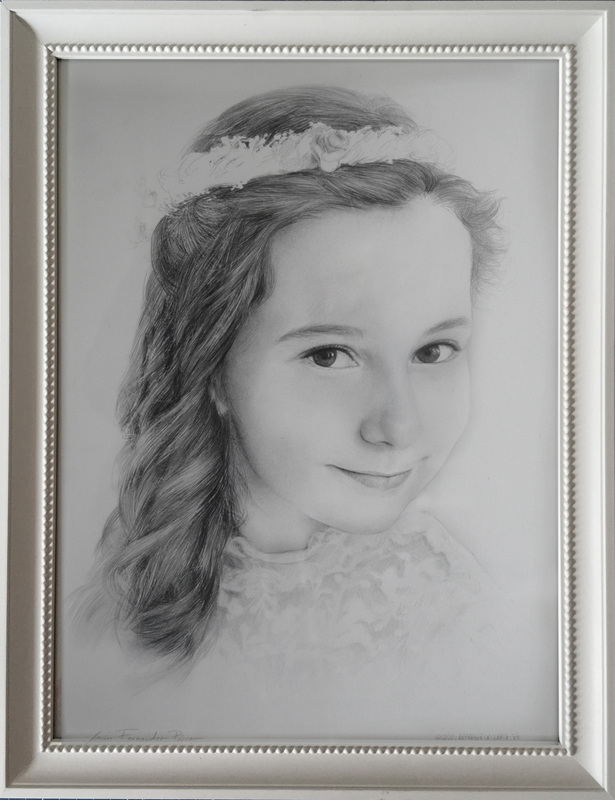 The price-quality ratio is very tight to be a detailed and realistic drawing and is very similar to the real model or original photo. The percentage of unsatisfied customers is very low and almost everyone is surprised of a result, often superior to their expectations. Free shipping for Spain peninsula and Canary Islands and Balearic Islands. 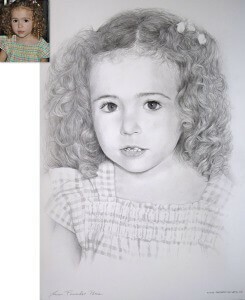 All drawings shown on the website are drawings made by hand on request. Previously the client has given me the authorization to publish it on the web. 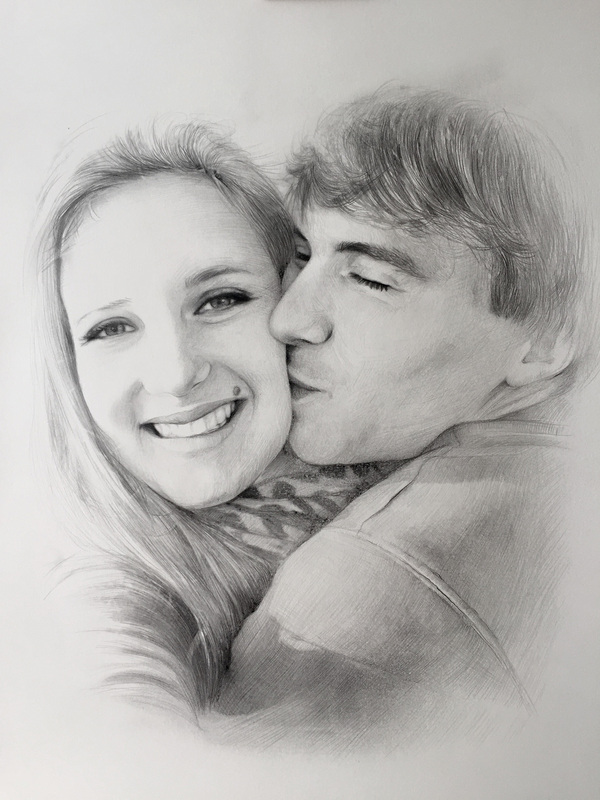 If you do not want to publish the commissioned drawing on the web or on social networks, you only have to tell me when ordering the portrait for WhatsApp. Only you will see the final drawing, it will not be published anywhere. 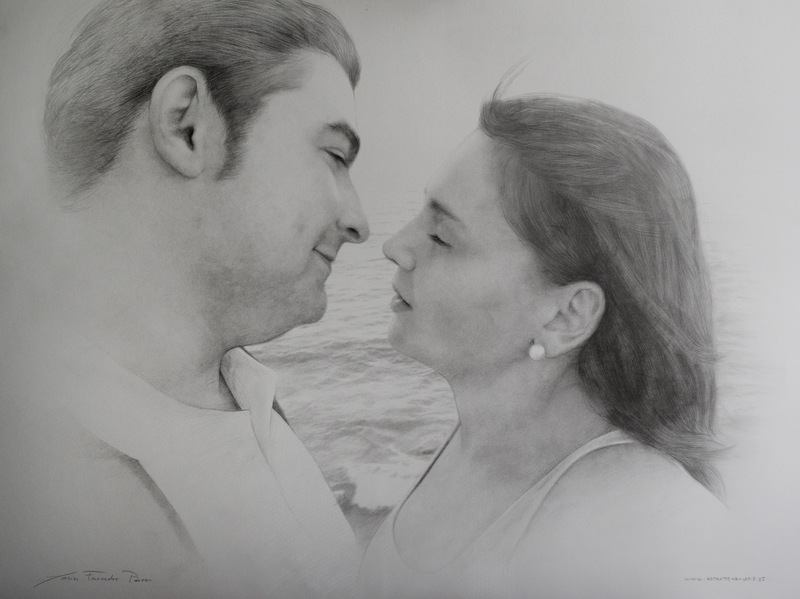 Click on the pencil drawings if you want to see them in full resolution in a new browser window. 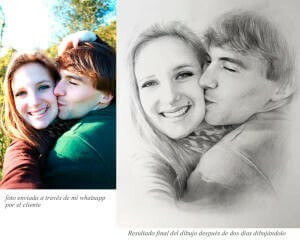 Thanks to WhatsApp, the process of ordering your drawings in pencil and having it in a few days in your house is very simple and there is no risk for you. Why order a portrait in pencil in retratos-a-lapiz.es and not in another web page of pencil drawings? I offer free shipping to Spain (both Peninsula and Balearic Islands). TO WHOM CAN YOU GIVE A PORTRAIT? In birthdays, weddings, wedding anniversaries, Christmas, Three Kings, Valentine’s Day, bachelor parties, tributes, company gifts, Mother’s Day, End of Course, etc. From 4 to 10 days. It will depend on the size of the portrait, the amount of orders at that moment and your urgency. It is necessary to add between 1 and 2 days more to the time of realization of the portrait (transport). For shipments to North America, South America or any European country you will have to pay the drawing before sending it + 10 € of shipping costs. I do the international shipment without framing and through International Mail. For example, for North America and South America the shipment took about 8 days to arrive. NATIONAL: Shipment by Certified Mail. FREE SHIPPING. 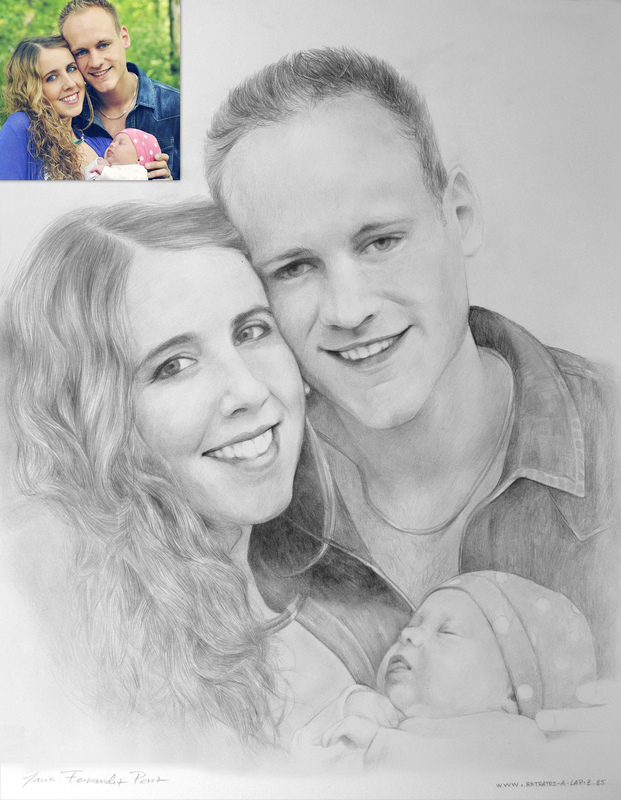 If you need another option of payment, when the portrait is finished, I will give you my bank data and once I have received the amount I will send it immediately. Total seriousness is guaranteed. Once the drawing has been delivered I will inform you by e-mail of the exact delivery date so that you can calculate your arrival. (2 to 4 days depending on your location). Shipments to Ceuta, Melilla and Canary Islands will have a surcharge of € 10 for shipping costs. – If the shipment is by Post Office you will receive the portrait in a padded envelope with plastic bubbles and a protection on both sides. This envelope gives you stiffness and lightness evenly. If you prefer, I can also send it to you in a rigid cardboard tube. (Both shipping methods arrive in perfect condition). In addition, all envelopes are sealed with my personal seal to ensure that no one has opened the package during its handling by the transport company. 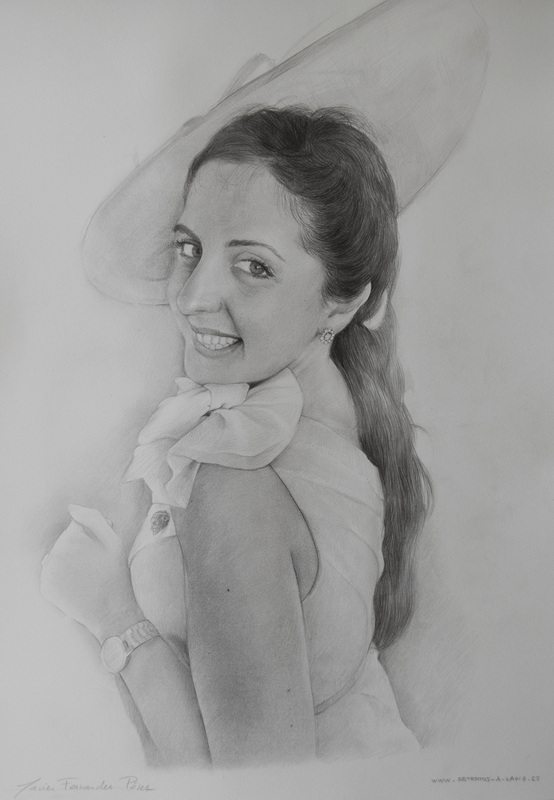 Given the doubts of some users and understanding that this website is seen all over the world, I clarify that both my website and my fiscal residence (the shipments are made from Huelva) and everything related to the prices refers to Spain (Peninsula and islands) although you can order your drawing from any country in the world. 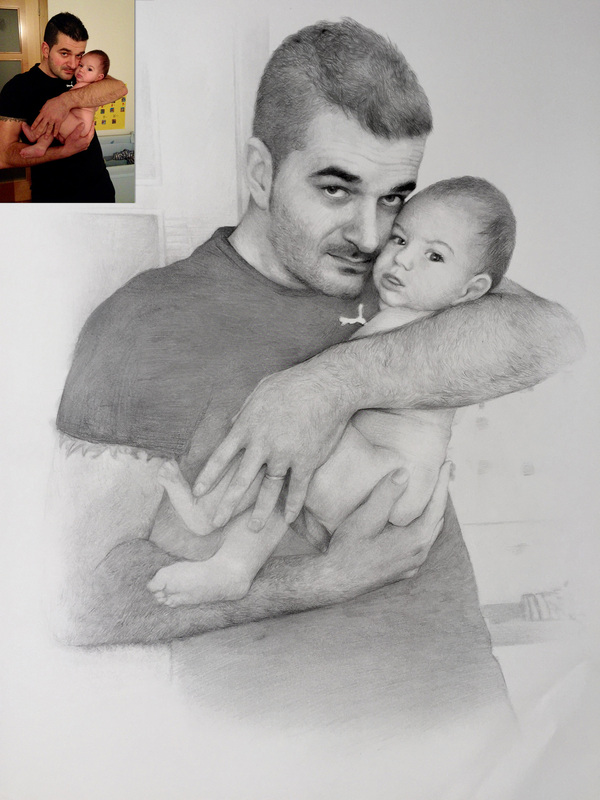 Thanks to WhatsApp the process of ordering your pencil drawings and having it in a few days in your house is very simple and there is no risk for you.